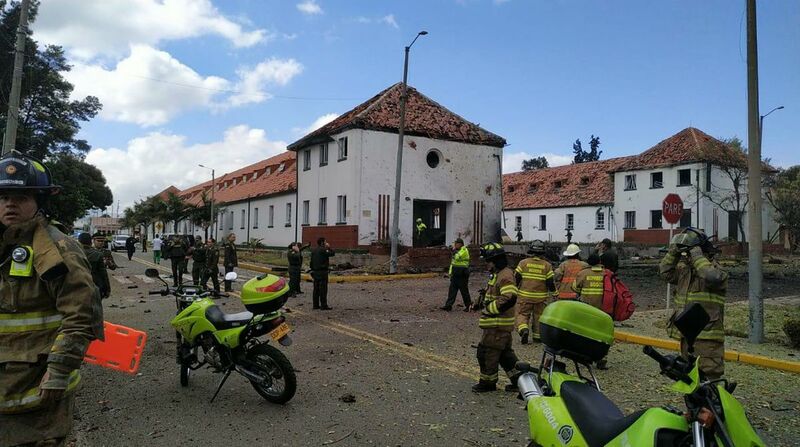 BOGOTA, Colombia — Colombian authorities said that a one-armed explosives expert belonging to the country’s last remaining rebel group carried out a car bombing against a police academy that left 21 dead and dozens more wounded. 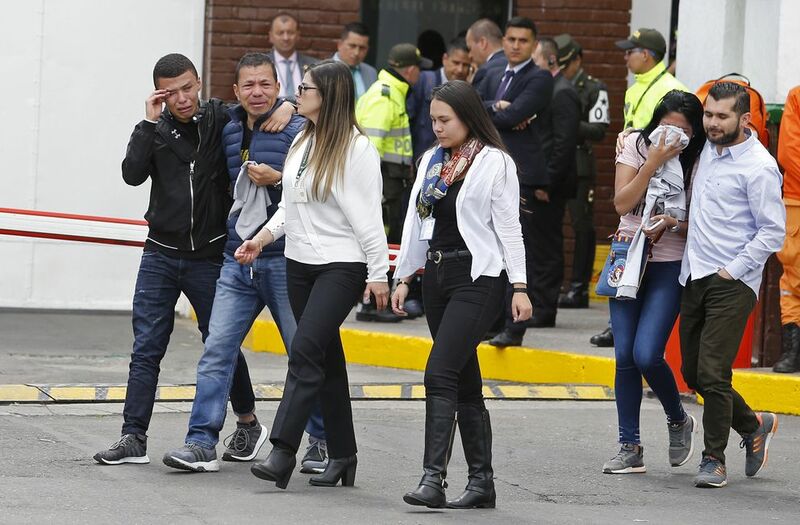 Chief Prosecutor Nestor Martinez said at a press conference Friday that the man who carried out Thursday's brazen attack, the deadliest in 15 years in the South American nation, was a longtime member of the National Liberation Army, or ELN. The shock bombing recalled some of the bloodiest chapters of Colombia's recent past and has raised tough questions about lingering security threats in the wake of a 2016 peace deal with FARC rebels. It would also appear to torpedo any chance of stalled peace talks with the ELN resuming any time soon. "The entire Colombian state," Martinez said, "is prepared to confront with the constitution and laws in our hands those who want to ambush our national security and impose the force of terrorism." President Ivan Duque will announce later Friday the government's stance on the future of the peace talks. With the help of security cameras and fingerprints on his one-remaining left hand, investigators were able to quickly identify Rojas and determine that he was the owner and driver of a 1993 Nissan pickup that was loaded with 175 pounds of pentolite and rammed past a security checkpoint into the leafy campus. "The terrorists are looking to intimidate us as a society," he said in a televised address Thursday night in which he declared three days of mourning. "Colombia will demonstrate that it is a strong state, united and won't break in the face of the dementia of these aggressions."